This is the ultimate transparent chair! 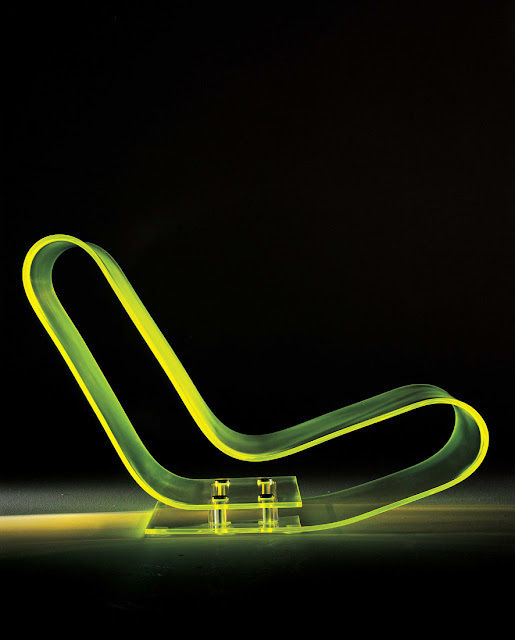 The futuristic Maarten van Severen LCP chair by Kartell. The LCP Chaise was created by the late Belgian furniture designer Maarten van Severen. Although his life was tragically cut short at the age of 48, Maarten left us with some amazing icons of modern design. 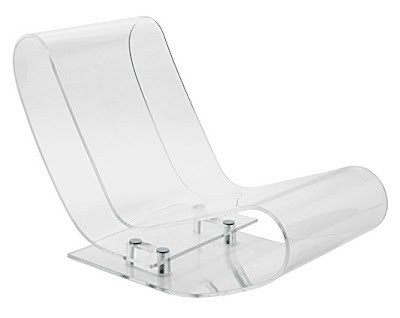 Take for example his transparent chair; the Kartell LCP Chaise Lounge. The exquisite "Low Chair Plastic," or LCP, is a remarkable triumph of modern design. This chaise lounge is formed from a single extrusion of clear acrylic plastic which folds back on itself to create its distinctive, curved form. The design is soft, elastic and flexible to yield seating comfort and preserve the integrity of the shape over time. We are so glad that this design by Maarten van Severen is still in production. With his simple, clear and well thought-out design Maarten van Severen gained international fame and recognition. Maarten van Severen's creations were added to the collections of famous furniture manufacturers like Vitra, Edra and Bulo as well as the permanent collection of the Museum of Modern Art in New York. The son of an abstract painter (Dan van Severen), Maarten van Severen chose to study architecture at Ghent's art school Sint-Lucas. In 1989 he produced his first wooden table; long, slim and pure in form. in 1990 he turned his attention to chairs. Chair 03 and 04 were the first chairs to become industrial produced, by Vitra.